Don't put your hopes too high, regarding the title, you might be missled in thinking: "this could be something worth watching"... well nothing further away from truth. Almost naive in how predictable can be, every 10 minutes a cliché. From time to time You can feel and see the effort of those involved in making the movie of trying to make it look like a serious action movie by inserting plot twists, but no one buy it, and by the second half even they are getting bored. Just in case you have a boring Sunday afternoon and you wanna see it I won't spoil it, all i can say it's that at the end i had the impression that a 14 year old fan of action movies was in the director's chair. 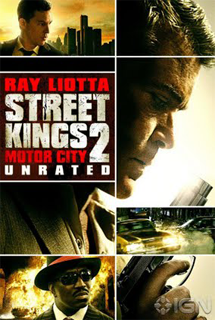 I give it a 5 just because of Ray Liotta, even that it's not his best performance.